Have you found a simple way to migrate Windows 10 os to a new computer yet? If not, you’ll know how to realize it easily with AOMEI Backupper. Installing or reinstalling operating system has always been a problem with the widespread use of Windows. It seems that no onewould like to spend a lot of time waiting for the installation of system and kinds of applications. Imagine that you bought a new computer, some people may intend to migrate Windows 10 OS to the new computer by transferring it to an external hard drive or USB. Although it works, what about in a large company? Obviously you would not like to do it one by one. So is there any good solution? Luckily, a third-party software AOMEI Backupper can help you transfer Windows 10 OS to new computer easily. 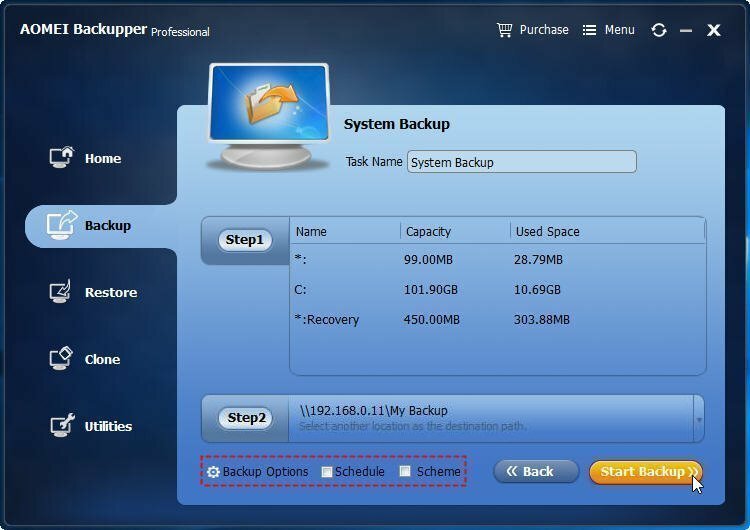 How to migrate with AOMEI Backupper? 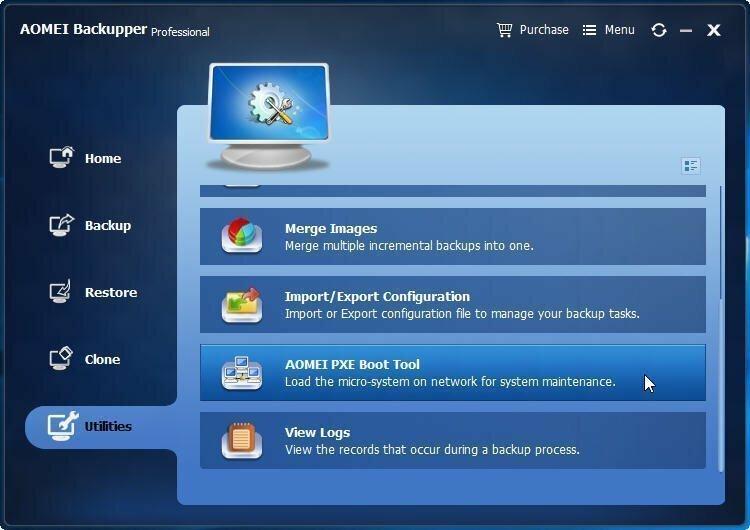 AOMEI Backupper is a professional backup software that can migrate Windows 10 to new computer without data loss. Besides Windows 10, Windows 7/8/8.1/XP and Vista are supported, too. 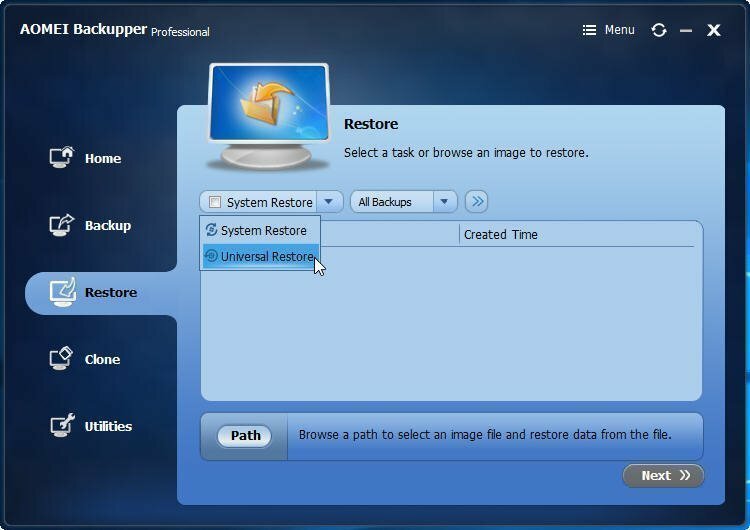 It has a feature called Universal Restore, which is specially designed for restoring system to other computers. Compared with common restoration, universal restore makes other computers boot properly after system restoring. 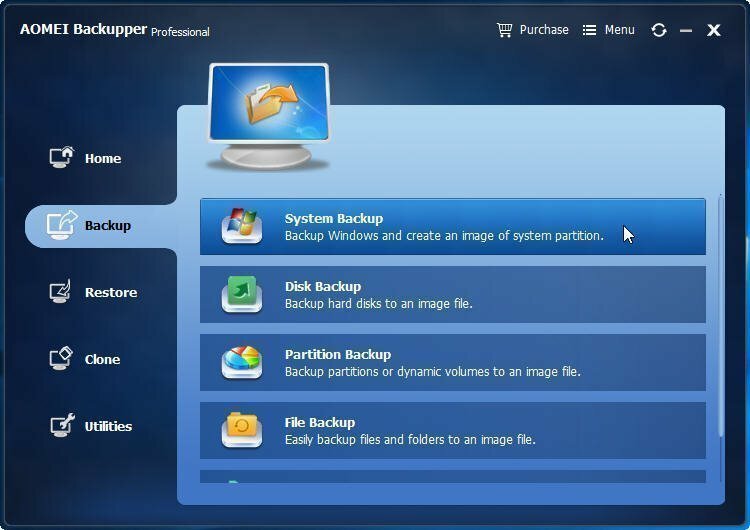 However, in order to realize it, you need do system backup first. Following steps will tell you how to operate with AOMEI Backupper. Step 1: Install and launch AOMEI Backupper. 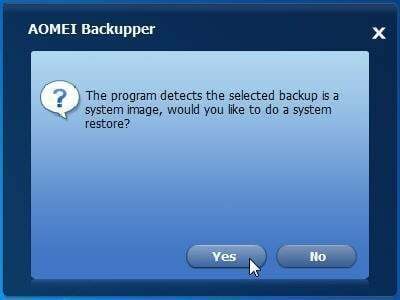 Select “System Backup” under Backup table. Step 2: Name the task for better distinction. All system related files will be chosen automatically, includng recover partition. So you just need to add a destination path in “Step 2”. NAS can be an ideal destination because NAS stores the backup in a secure, off-site location so that you don’t need a hardware. In addition, new computers can find it directly under WLAN. By the way, you may set Backup Options, Schedule or Scheme based on your demands. With backup prepared, before you move Windows 10 OS to new computers, another preparation should be done: click "Utilities" on the main interface and select AOMEI PXE Boot Tool. Choose one way in this window. The first option is recommended here since it will create a Windows PE system for network boot. Then set the client computer(s) to boot from network firstly under BIOS. Now, it’s time to migrate Windows 10 OS to new computers. Step 1: Go to Restore tab. Select universal restore and you need to find Windows 10 system image through browsing share network/NAS. Step 2: A windows for confirmation will pop up. Click “Yes” to continue. Step 3: Then you should get the only backup image then begin to restore. Note: If a window shows that the current operation need completing in a restart mode later. Click “Yes”. 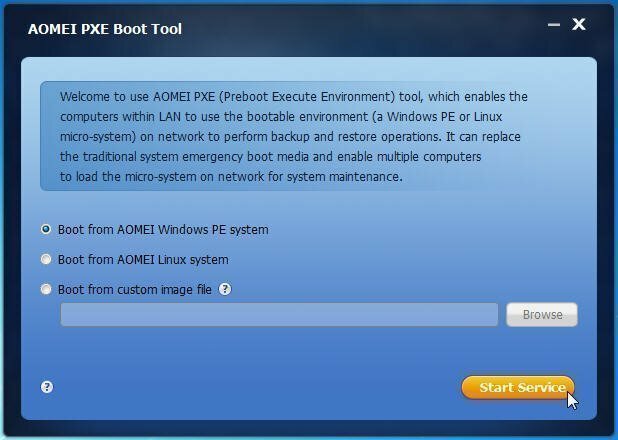 When it migrates Windows 10 OS to new computers successfully, disconnect the service provided by AOMEI PXE Boot Tool. Next time the new computer will normally boot from its hardware.